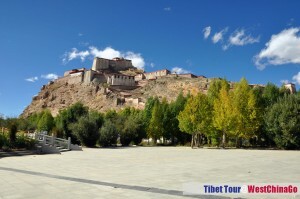 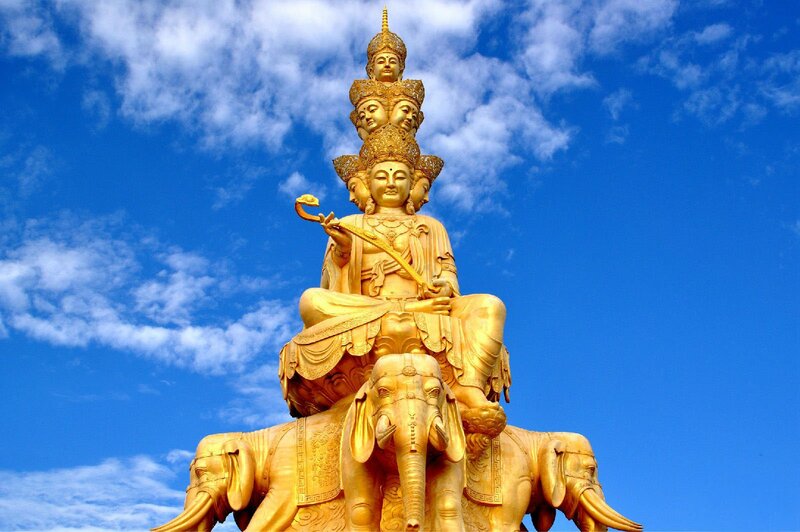 the Second Buddha, who brought Buddhism to Tibet in 8th century AD.The lake is home to the famous Samding Monastery which is on a peninsula jutting into the lake. 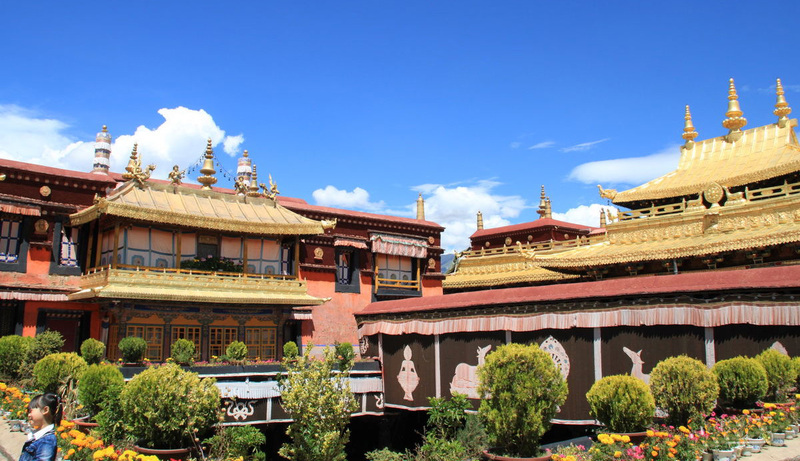 This monastery is the only Tibetan monastery to be headed by a female re-incarnation. 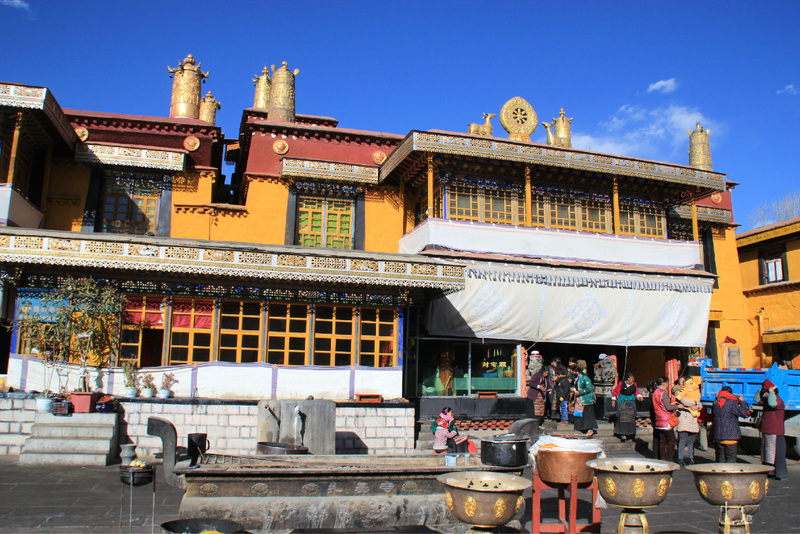 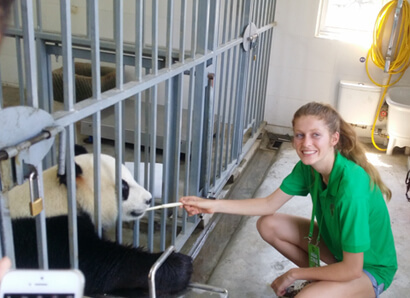 Since it is not a nunnery, its female abbot heads a community of about thirty monks and nuns. 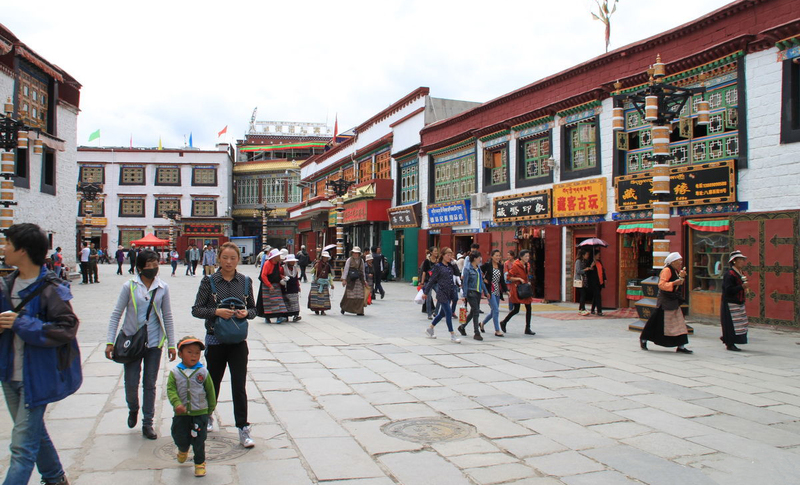 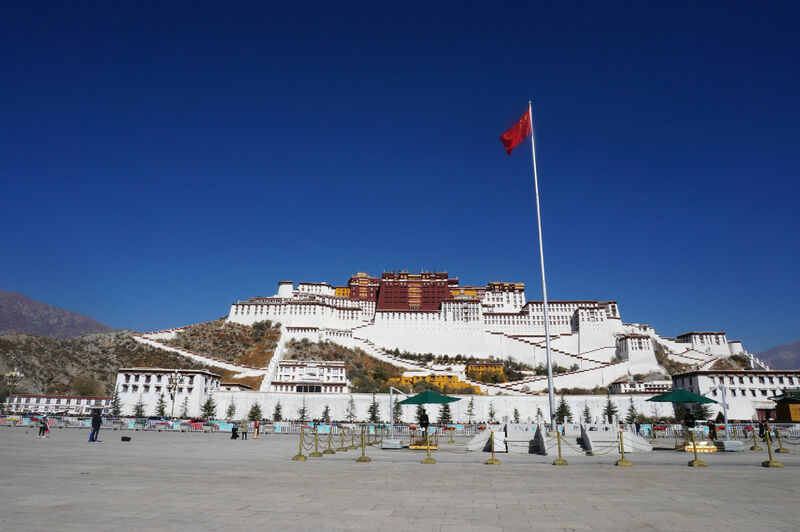 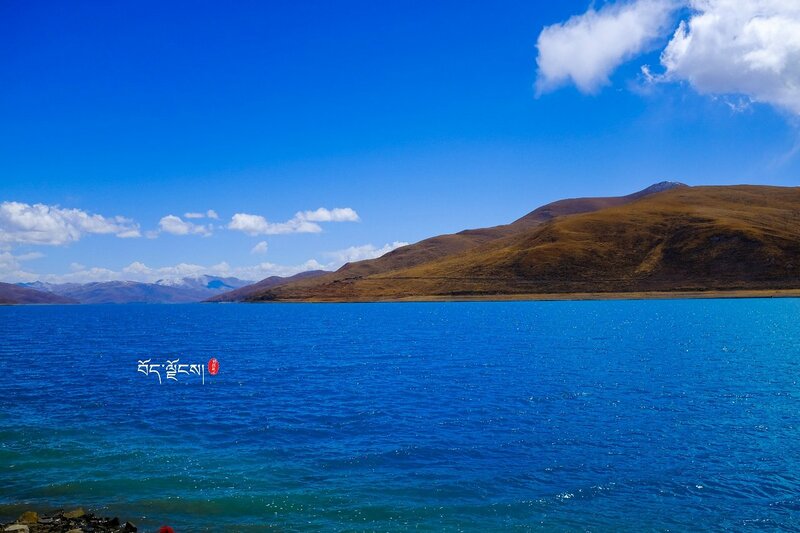 or Yamzho Yumco; Tibetan: ཡར་འབྲོག་གཡུ་མཚོ་, is a freshwater lake in Tibet, it is one of the three largest sacred lakes in Tibet (28°56′N 90°41′E). 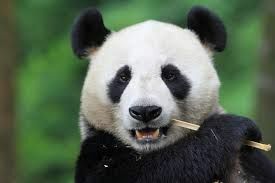 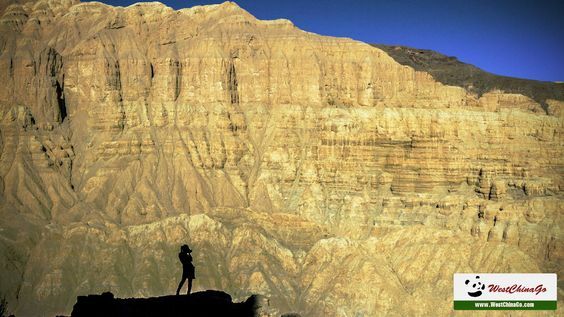 It is over 72 km (45 mi) long. 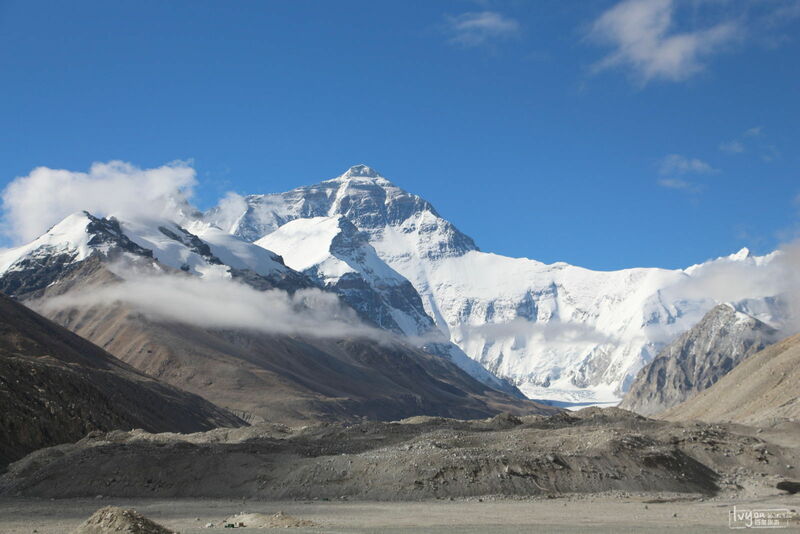 The lake is surrounded by many snow-capped mountains and is fed by numerous small streams. 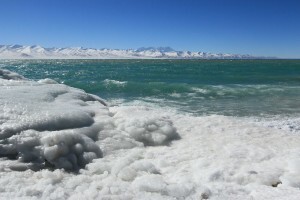 The lake has an outlet stream at its far western end. 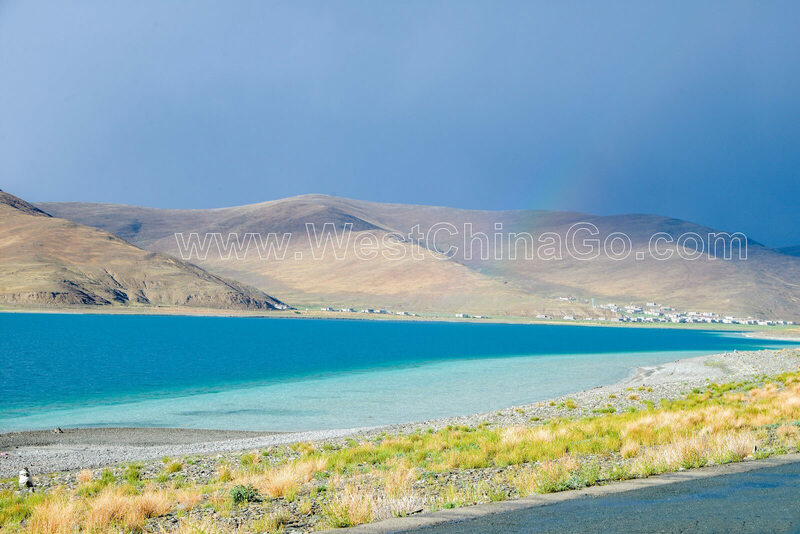 The Yamdrok Hydropower Station was completed and dedicated in 1996 near the small village of Baidi at the lake’s western end. 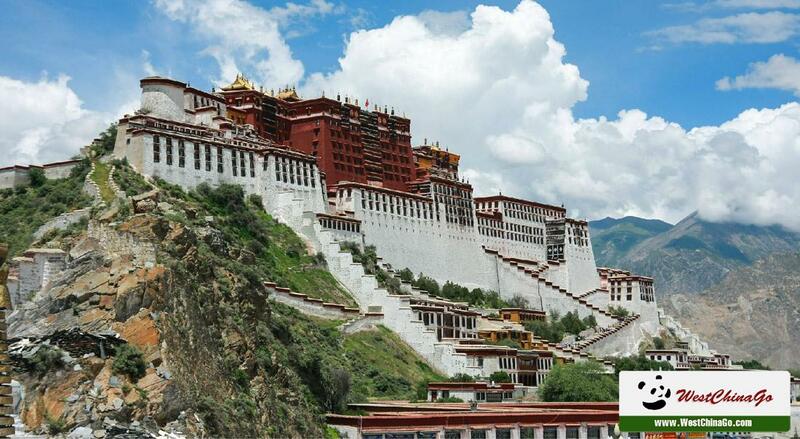 This power station is the largest in Tibet. 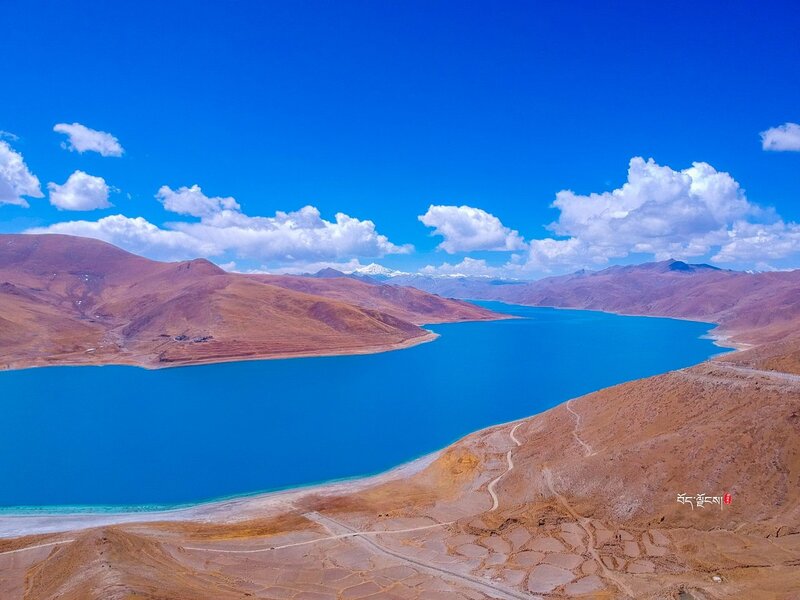 Like mountains, lakes are considered sacred by Tibetan people, the principle being that they are the dwelling places of protective deities and therefore invested with special spiritual powers. 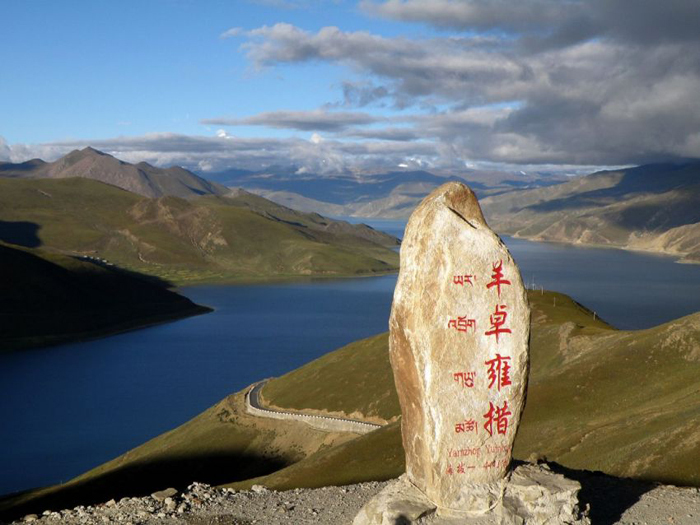 Yamdrok Lake is one of four particularly holy lakes, thought to be divinatory; everyone from the Dalai Lama to local villagers makes pilgrimages there. 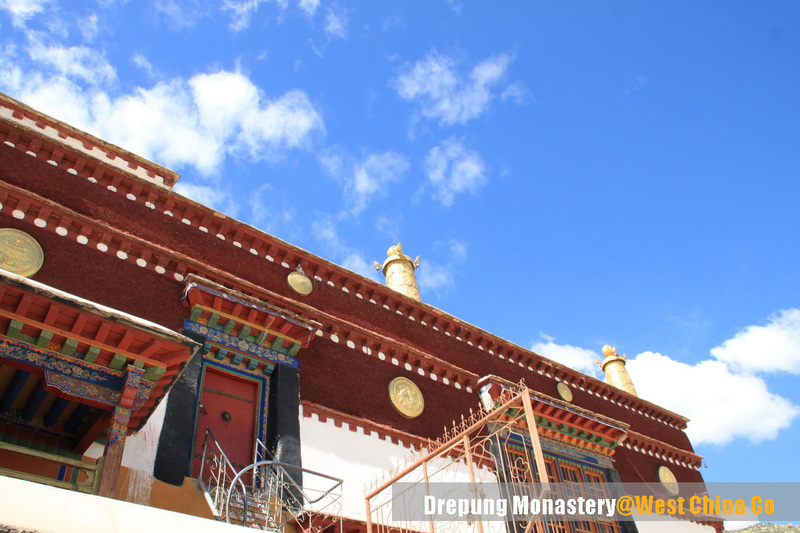 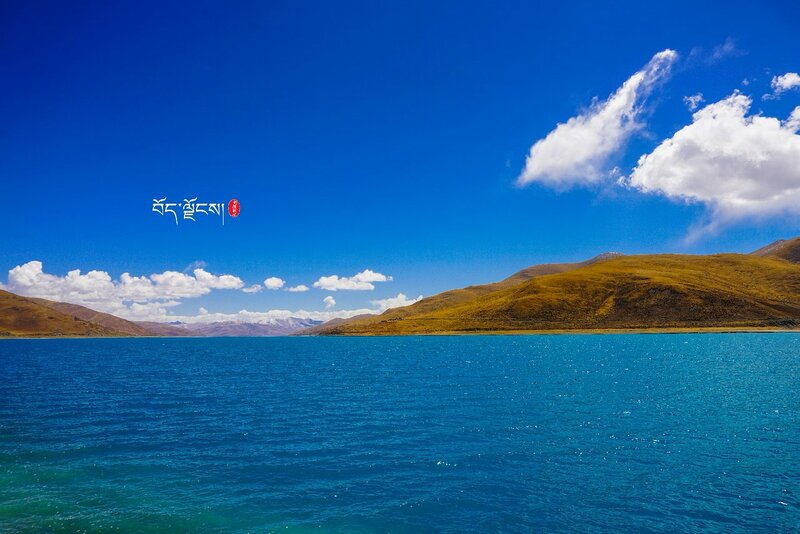 It is considered sacred as one of the four “Great Wrathful Lakes” guarded by the goddess Dorje Gegkyi Tso. 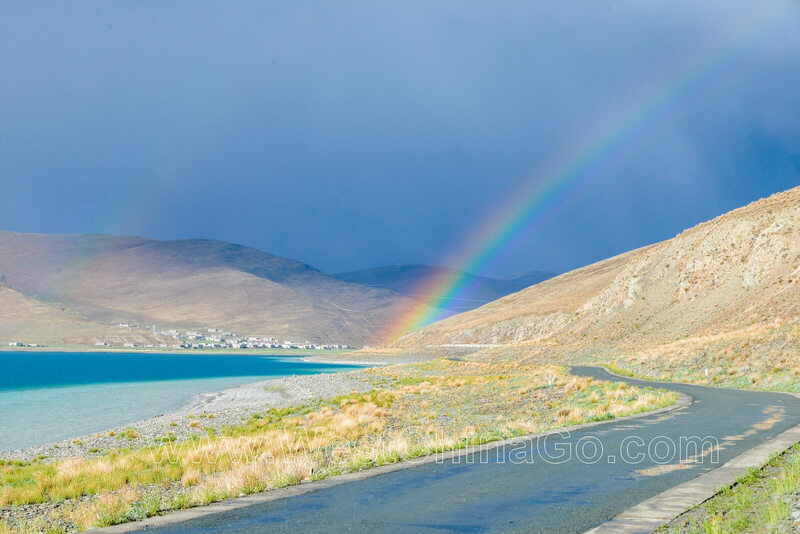 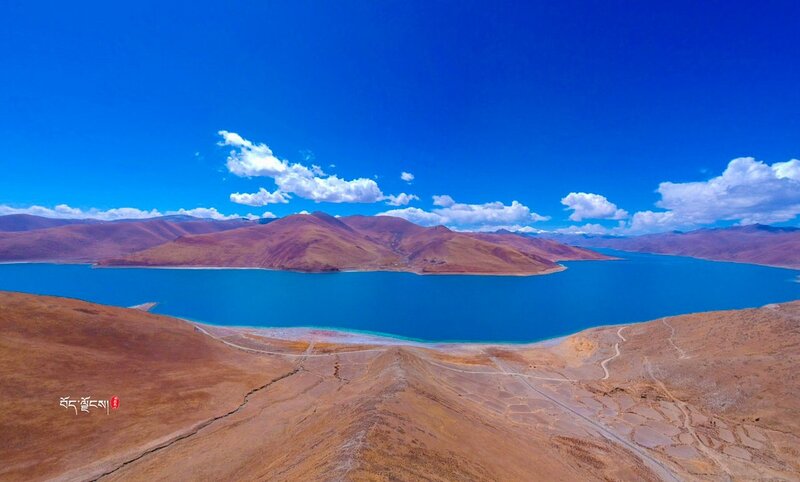 The others such lakes are Lhamo La-tso, Namtso and Manasarovar. 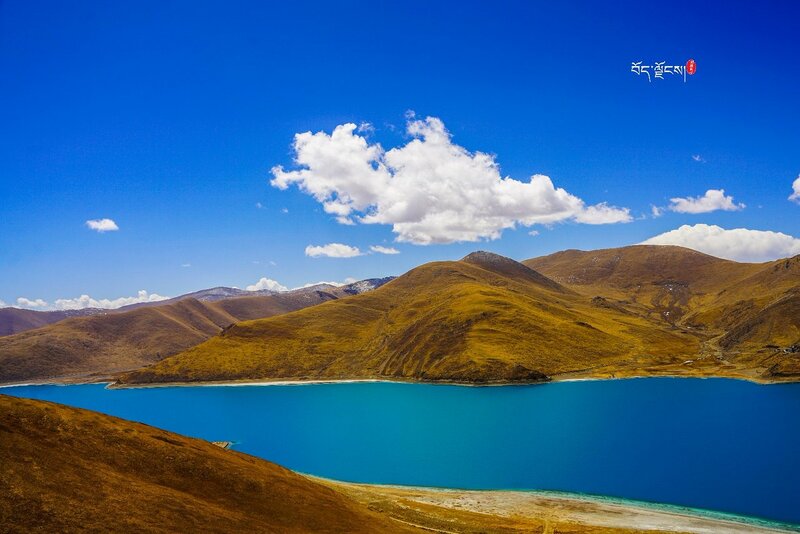 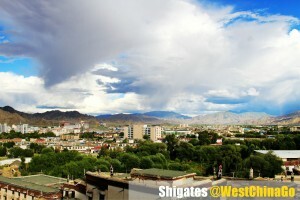 The lake is revered as a talisman and is said to be part of the life-spirit of Tibet. 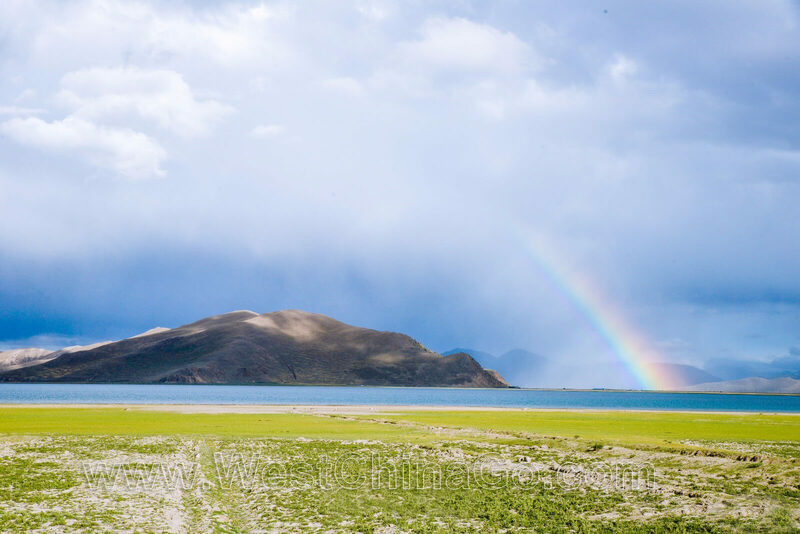 The largest lake in southern Tibet, it is said that if its waters dry, Tibet will no longer be habitable.